Professor Leong is Chairman of Hospital Authority. He is an internationally renowned clinician scientist specialising in spinal and paediatric orthopaedics. He is President Emeritus of The Open University of Hong Kong (OUHK), Emeritus Professor of The University of Hong Kong (HKU). He was conferred Doctor of Science honoris causa by the HKU and the OUHK, and Honorary Doctorate by the Hong Kong Academy for Performing Arts. He has been elected Academician of The Chinese Academy of Sciences, the first local clinician to receive the honour. 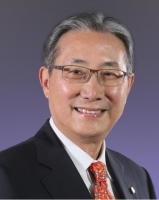 He has served as President of the OUHK and Member of the PolyU Council.